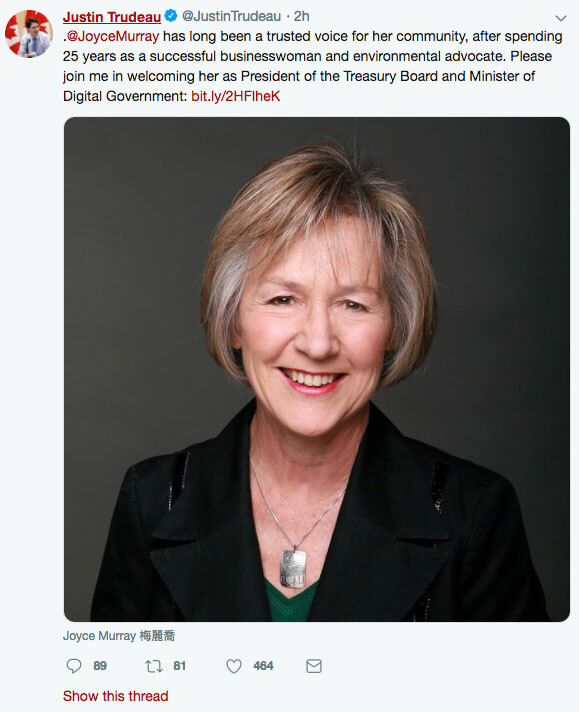 In an effort to put the whole SNC-Lavalin/Jody Wilson-Raybould affair behind him, Prime Minister Justin Trudeau shuffled his cabinet for the third time this year, appointing Joyce Murray as President of the Treasury Board and Minister of Digital Government. The President of the Treasury plays a powerful and key role in the cabinet, reviewing and approving any spending decisions made by the government. Murray, 64, who comes from a business background and has deep environmental ties, ran a forest management company in B.C. before entering provincial politics in 2000, where she eventually became Minister of Water, Land and Air Protection. In 2008, she won the Vancouver Quadra seat for the Liberals and has been in government ever since. In her tenure in government, she has criticized the Liberal government for its decision to buy the Trans Mountain pipeline but has always supported Trudeau. 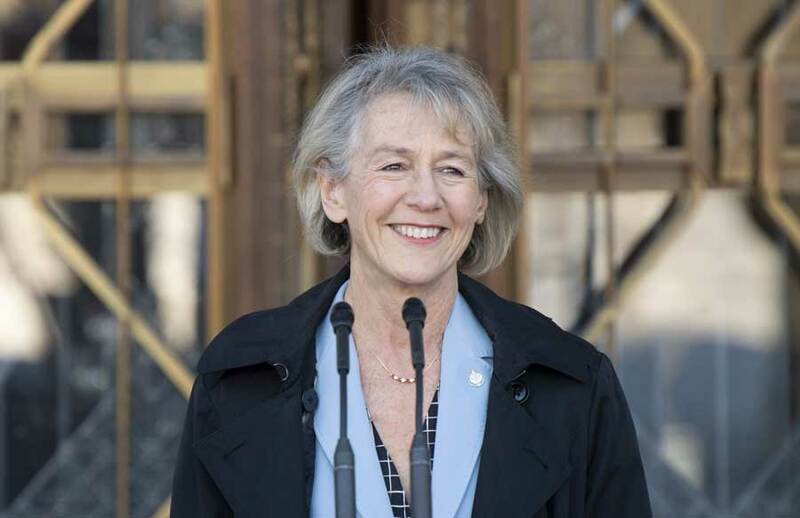 Going from a trusted voice in her community, Murray will now need to become a loyal supporter in Ottawa as the Prime Minister seeks to unite a caucus that became badly divided after the fallout of Lav-Scam. Unlike her predecessor Philpott — who resigned after having “lost confidence in how the government has dealt with [SNC-Lavalin affair] and in how it has responded to the issues raised” — Murray has always maintained “absolute confidence” in Trudeau’s leadership. With Murray helping to shore up a newly unified cabinet, the Liberals can now shift the focus away from scandal and focus their priorities on the federal budget, which Finance Minister Bill Morneau will unveil tomorrow.